Just when we thought there weren’t enough leading roles for Black women in Hollywood, they create one and give it to a White woman. Film producer Scott Rudin has purchased the film rights to upcoming biography ‘Queen of the Nile, Cleopatra: A Life,’ and has confirmed that the movie “is being developed for and with [Angelina] Jolie.” Jolie, a Hollywood A-lister, will do her best in bringing the story of the famed Egyptian queen to life, and it appears no one doubts she can do it… including Pulitzer prize-winning author Stacy Schiff, who penned the biography, “Cleopatra: A Life,” a book that won’t be on shelves until the fall. Schiff already heavily endorses Jolie, stating, “I think she’d be perfect for it and I can see a possible Oscar in her future. Physically, she’s got the perfect look.” Gasp, the nerve! “She’s got the perfect look?” Honestly, I don’t care how full Angelina Jolie’s lips are, how many African children she adopts, or how bronzed her skin will become for the film, I firmly believe this role should have gone to a Black woman. 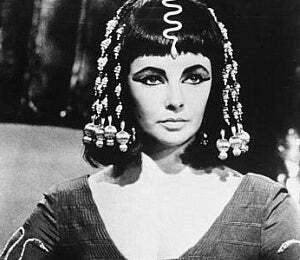 I mean, isn’t it enough that 47 years ago, dame Elizabeth Taylor was cast to portray Cleopatra in one of the most expensive films ever made? That Elizabeth Taylor was actually the third White woman to be tapped for the Cleopatra role — following Vivien Leigh and Claudette Colbert — just makes this all the more comical. 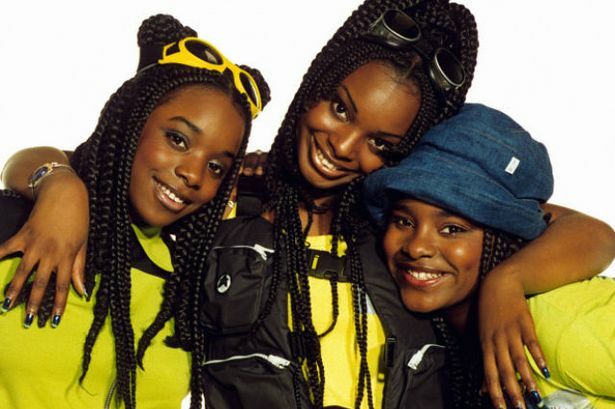 Were Vanessa Williams, Halle Berry and Thandie Newton unavailable for auditions that day? Why does Hollywood think it’s even slightly plausible to cast White women in roles that would be more sensible to cast a Black actress for? Especially when that role is an African queen. It happened just two years ago, in 2007’s thriller “Stuck,” directed by Stuart Gordon, based on the true story of a Chante Mallard. The story tells a tale of a woman who hits a homeless man with her car and results with him trapped in her car’s windshield. Instead of getting the man help, Mallard (played by actress Mena Suvari) opts to let him die slowly in her garage. The interesting thing is Mallard is a Black woman, and Suvari, who was cast to play the role, is — surprise, surprise — a White woman. Adding insult to injury, instead of just casting a Black woman to play the role, the film gave Suvari a more “ethnic look” for the role, by adding stereotypical cornrows to her hair. Hollywood, are you serious? Now, Jolie is set to play Cleopatra, who isn’t as technically perfect as some would claim if you study the Queen of the Nile’s distinguished history. First and foremost, the role should be given to a younger actress — think Jurnee Smollett — considering Cleopatra began her reign as Queen of Egypt at the tender age of 18 and ended her own life at the age of 39. Secondly, while historically there is no concrete confirmation that Cleopatra was of a darker complexion, there is more evidence than not that she was Black, and not entirely of Macedonian Greek ancestry, as Shakespeare, leagues of painters and now Hollywood would have us believe. And, ultimately, while Cleopatra’s heritage remains under speculation, it remains that she was in fact an African queen. Jolie — not so perfect. What’s next? A biopic on Sojourner Truth played by Betty White?